Malignant Melanoma, "FDR's Deadly Secret"
Updated 3/2017: links removed as many no longer active. A surgeon with a penchant for writing and a passion for revealing the truth behind the farce that is the Indian Medical Industry. SurgeXperiences is a blog carnival about surgical blogs. It is open to all (surgeon, nurse, anesthesia, patient, etc) who have a surgical blog or article to submit. You are encouraged to submit your surgery related posts. The deadline for submissions to be included in the 316 edition is midnight on Friday, February 5th. Be sure to submit your post via this form. If you would like to be the host for a future edition of SurgeXperiences, please contact Jeffrey who runs the show here. My friend Vivian asked me to make a quilt for her grand-daughter K. Vivian speaks of K as her daughter and is raising her as such. K’s mother (Vivian’s daughter) died a few years ago leaving both of them stunned with grief. Yet Vivian is one of the most hopeful, resilient people I know. I was very happy to make the quilt for her. I choose to make her a bright quilt. The result is this rainbow blooming nine patch. It is 45 in X 54 in. It is machine pieced and quilted. 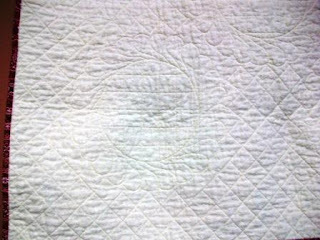 This near photo shows some of the very simple cross-hatched quilting done. 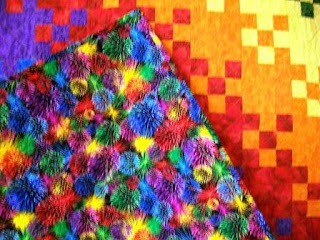 I found some wonderful fabric for the backing/binding which looks to me like fireworks exploring in all the colors of the rainbow. The world needs more people like Vivian. H/T to Dr. Val, Better Health and her post The American College Of Surgeons Creates Case Log For Surgeries Performed In Haiti. I’d like to help her get the word out on this web-based tool the ACS has created to help medical workers in Haiti keep track of surgical procedures. The ACS has a case log system in place already for College members which they have expanded and opened to non-College members as well. Non-ACS members can register here. The system will automatically add Haiti as a location, and surgeons can start adding cases right away. ACS members who have used the case log system before can log in here. ACS members who have not registered to use the case log system can register at here. Once ACS members are logged in, they can add “Haiti” as a location for cases associated with relief activities. The system currently works with both Palm and Pocket PC phones. The iPhone and Blackberry editions will be released in the next 1-2 weeks. Last week, researchers at the Swedish School of Sport and Health Sciences published an editorial online in the British Journal of Sports Medicine, warning us of the dangers of prolonged sitting. The editorial mentions a study published last year that tracked more than 17,000 Canadians for about a dozen years. Peter Katzmarzyk and colleagues found people who sat more had a higher death risk, independently of whether or not they exercised. I don’t have to give up my computer time or my sewing/knitting or my reading or my TV. What I have to do (and what you should do) is make a conscious effort to remember to stand up and move for a few minutes ever 30-45 minutes of prolonged sitting. When watching TV, use the commercials as reminders. It’s a great time to get up and stretch or do a few lunges or maybe a jumping jack or two. In my sewing room, I have to get up when I need to press seams. This breaks up the sitting time. I don’t always have automatic “breaks” when knitting, reading, or using the computer. I have to remind myself to do so. Last week, Dr Anonymous posted Warning: Sitting Can Kill You. How about David Bowie’s Let’s Dance? Anyone want to join me? and cancer; Med Sci Sports Exerc 2009;41:998–1005; Katzmarzyk PT, Church TS, Craig CL, et al. Dr. Tina Alster, clinical professor of dermatology at Georgetown University Medical Center and the Director of the Washington Institute of Dermatologic Laser Surgery. In full disclosure, Diane Rehm begin by mentioning the use of Botox for her own vocal spasmotic dystonia. Very interesting show. The reason for the show was the Washington Post article by Joby Warrick “Officials fear toxic ingredient in Botox could become terrorist tool” posted Monday, January 25, 2010. ….Obtaining the most lethal strain of the bacterium might have posed a significant hurdle for would-be terrorists in the recent past. But today, the prospect of tapping into the multibillion-dollar market for anti-wrinkle drugs has spawned an underground network of suppliers and distributors who do most of their transactions online, the researchers found. Customers don't need prescriptions or identification, other than a shipping address………..
Having taken a few courses on Disaster Preparedness, it is always pointed out botulinum toxin is not a great toxin for mass destruction as it would be difficult to weaponize the bacteria as noted above and here. BOTOX is currently licensed for treatment of cervical dystonia, strabismus, blepharospasm, primary axillary hyperhidrosis, and glabellar wrinkles. It is also used "off label" for a variety of more prevalent conditions that include migraine headache, chronic low back pain, stroke, traumatic brain injury, cerebral palsy, achalasia, and various dystonias. I found the article on using ultrasound to diagnosis closed flexor tendon injuries interesting. I still rely on history and physical exam to make the diagnosis, but can see how the use of ultrasound (US) could be useful particularly in children. The article is a retrospective audit of the accuracy of US in diagnosing closed flexor tendon ruptures and ruptures following recent flexor tendon repair in 80 patients between January 2001 and December 2006. The accuracy of US was found to be higher than clinical examination alone (95% vs. 79%, Z = 2.00, p = 0.03). US findings were 100% accurate when imaging was undertaken between 1 and 7 days following injury, but only 88% accurate when undertaken on the same day as injury and 85.7% accurate when performed after 1 week (X 2 = 6.4, p = 0.04). If the flexor tendon injury is not clear on physical exam, then US might have a role. Most injuries to the flexor tendons are due to a cut of some kind (ie knife, saw, etc). Closed injuries to the flexor tendons are often athletic injuries that occur when one player grabs another's jersey, and a finger (usually the ring finger) gets caught and pulled. The forceful hyperextension of a digit leads to the avulsion of the flexor digitorum profundus (FDP) tendon from the distal phalanx. This mechanism has given the injury the common name: "jersey finger." Closed injuries to flexor tendons can also occur when the tendon is stretched (strained) or ruptured. These mechanisms are more common in sports like rock climbing or in persons with rheumatoid arthritis. Clinical assessment can often be difficult as swelling and pain may limit movement of the injured digit irrespective of the integrity of the flexor tendon mechanism. The integrity of FDS and FDP tendons should be tested independently and in tandem. To test the FDP tendon, the examiner holds the other fingers in extension and stabilizes MCP and PIP joints. The patient is then asked to flex the distal phalanx. To test the FDS tendon, the examiner holds the other fingers in extension, but the MCP and PIP joints are released. The patient is asked to flex the finger. The PIP joint and, to a lesser degree, the MCP joint should flex. About 20% of patients are missing a FDS tendon in the little finger and will therefore have limited or no PIP flexion during testing. For flexor pollicis longus (FPL) testing, the thumb MCP joint is stabilized in neutral position. The patient is asked to flex the interphalangeal (IP) joint against resistance. A communication may exist between the FPL and the index FDP. The examiner stabilizes the other 3 digits. The patient opposes his or her thumb to the little finger MCP joint. Flexion of the index distal phalanx proves the existence of this anomalous communication. Passive manipulation of the wrist through flexion and extension should result in extension and flexion of the digits, respectively. This uses the tenodesis effect of the antagonistic tendons. If a tendon is transected, then there can be no tenodesis effect. Compression of the forearm flexion muscles also can be used to test the integrity of the flexor tendons in the hand. As the forearm is compressed, the digits are drawn into flexion. Transected tendons in the digits do not flex with this maneuver. Successful treatment depends on prompt diagnosis and treatment, preferably within 48 hours of the injury. Delays in treatment may result in fibrosis in the tendon sheath and retraction of the flexor tendon. Updated 3/2017: all links removed as several no longer active and it was easier than going through each one. Welcome to the LOL edition of Grand Rounds! I just adore the I Can Has Cheeseburger – LOL Cat site and the kittehs provide our background theme for the week. Kim, Emergiblog, is the host of the latest edition of Change of Shift (Vol 4, No 15) ! You can find the schedule and the COS archives at Emergiblog. It’s time again for Change of Shift, the bi-weekly nursing blog carnival! It’s an eclectic selection this week: hospital to office, students and veterans, money and…well, poo-poo, disasters and preparedness…………..
Clinton Foundation -- Donate online or Text "HAITI" to 20222 and $10 will be donated to relief efforts, charged to your cell phone bill. and from ACP Internist comes the link to Mustard Seed Missions with more accounts from the ground in Haiti. Jan Davis is in Les Cayes, a town of about 70,000 people about 100 miles southwest of Port-au-Prince. Her husband, Paul Davis, was expected to leave Hatfield this week to join his wife there. Two Northampton doctors, Ann Markes and her husband, Matt Kane, both of whom have worked in Haiti before, were planning to travel with him. The Davises are the founders of Mustard Seed Missions Inc., a nonprofit group that organizes teams of local volunteers who, about twice a year, travel to Haiti to bring medical care to several remote villages outside Les Cayes. and some thoughts on public affairs and how things are portrayed. An email from a Vietnam-era vet who is working aboard USNS Comfort. MedGadget has announced the finalists for the medical blog awards. Polls will be open from Wednesday, January 27, 2010 and will close 12 midnight on Sunday, February 14, 2010 (EST). Se the list of finalist here. Voting begins on January 27th. Dr Anonymous does not appear to have a show scheduled this week. The umbilicus is perhaps the only scar that all of us want. The umbilicus forms after birth as a result of the placental cord being transected as the infant is “detached” from his/her mother. As the stump of the cord necroses, the scab falls away as the base heals leaving a scar: the umbilicus. The umbilicus has been described as a depressed scar surrounded by a natural skin fold that measures 1.5 to 2 cm in diameter and lies anatomically within the midline at the level of superior iliac crest. Neoumbilicoplasty in simple terms is the creation or reconstruction of a new umbilicus to replace the missing or deformed umbilicus. The most aesthetically pleasing umbilicus is small in size, T or vertical in shape, and possesses a superior hood or shelf. Those characteristics found to be unappealing include a large overall umbilical size, a horizontal or distorted shape, and the presence of umbilical protrusion. In reconstructing the umbilicus, plastic surgeons should strive to attain these attractive characteristics and incorporate a modest size, with a superior shelf or hood and a T or vertical shape. Reconstruction of a new umbilicus is indicated in congenital conditions associated with umbilical agenesis, loss of umbilicus due to omphalocele or gastroschisis repair, umbilical loss due to inflammatory destruction, excision of skin cancer involving the umbilical stump, and in surgical procedures for wide ventral herniorrhaphy. Based on our study, it is usually 3 cm above the level of the anterior superior iliac spine in a baby and 6 cm above in an adult, although differences in height and weight may affect these measurements. 1. The distance between the xyph0sternum and umbilicus-distance between the umbilicus and the pubic symphysis ratio is approximately 1.6:1. 2. Also, the distance between the umbilicus and the anterior superior iliac spine-distance between the right and left anterior superior iliac spines ratio is 0.6:1. This implies that when each of the anterior superior iliac spines is taken as a center, and arcs are drawn with a radius 0.6 times that of the inter-anterior superior iliac spine distance, the point of intersection of these arcs is the location of the umbilicus, taking into consideration the above ratio (1.6:1). Surgery varies depending on whether a completely new umbilicus is being created or simply an “outie” being turned into an “innie” or maintaining the umbilicus with other surgery (ie abdominoplasty). *****After noticing the first referenced article below on MDLinx, I did a search of articles in the Journal of Plastic and Reconstructive Surgery first using “neoumbilicoplasty” and then “umbilical reconstruction.” The second gave me a great list of articles (only a few listed below). In Search of the Ideal Female Umbilicus; Plast Reconstr Surg 105: 389, 2000; Craig, S. B., Faller, M. S., and Puckett, C. L.
New Technique for Scarless Umbilical Reinsertion in Abdominoplasty Procedures; Plast Reconstr Surg 102(5):1720-1723, 1998; Schoeller, Thomas M.D. ; Wechselberger, Gottfried M.D. ; Otto, Angela M.D. ; Rainer, Christian M.D. ; Schwabegger, Anton M.D. ; Lille, Sean M.D. ; Ninkovic, Milomir M.D. Simplified Technique for Creating a Youthful Umbilicus in Abdominoplasty; Plast Reconstr Surg 109: 2136, 2002; Lee, M. J., and Mustoe, T. A.
Anatomical Localization of the Umbilicus: An Indian Study; Plast Reconstr Surg 117(4):1153-1157, 2006; Abhyankar, Suhas V.; Rajguru, Anirudha G.; Patil, Prajakta A. Placement of the Umbilicus in an Abdominoplasty; Plast. Reconstr. Surg. 61: 291, 1978; Dubou, R., and Ousterhout, D.
Updated 3/2017: all links removed as some blogs/posts no longer active. Education of a Knife is the host of this edition of SurgeXperiences. Here is the beginning of this edition which you can read here. The host of the next edition (316) will be Dr DJ, a private surgeon from India, has not been announced, but don’t let that keep you from making your submissions. Be sure to make your submissions by the deadline: midnight on Friday,February 5th. Be sure to submit your post via this form. I hear Mom’s voice, as I pull my hand out of the dish water. Blood flows from my left palm. I make a fist, the index finger remains straight. My husband rushes into the room. 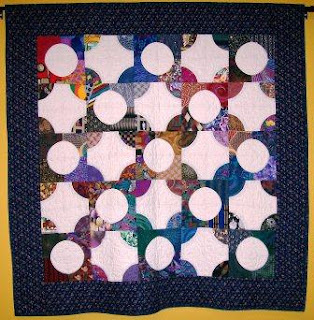 This quilt is made from antique quilt blocks found at an estate sale in the mid-1990s. 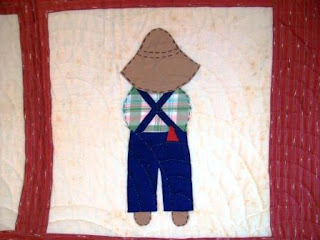 The pattern is the male version of Sun Bonnet Sue and is called Overall Sam. 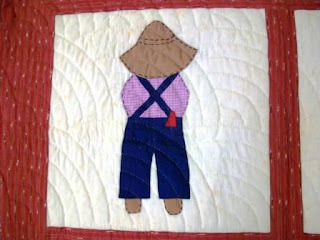 Five of the six blocks have a red handkerchief in the Sam’s back right pocket. I put the blocks together and then had a friend hand quilt it for me using Baptist Fan quilting. The blocks are 14” square. The quilt is 35.5” X 53.5”. Here are close photos of two of the blocks. A University of Oklahoma researcher has found that microwave heat treatment combined with chemotherapy actually kills large breast cancer tumors and could reduce the need for mastectomies by nearly 90 percent. I would love for this to turn out to be true, having begun medical school when Halsted mastectomies were still the standard of care. Preoperative focused microwave thermotherapy (FMT) is the focus of multi-institutional clinical studies from OU, the Massachusetts Institute of Technology, the Los Angeles Biomedical Research Institute, the Comprehensive Breast Center of Florida and St. Joseph's Hospital in California. Dr. William Dooley, director of surgical oncology at OU Cancer Institute, and colleagues have published the results from early clinical trials online in the journal Annals of Surgical Oncology. Cancer cells are sensitive to microwave-generated heat. FMT uses a minimally invasive approach to introduce energy into the tumor creating irreversible cell damage. The current study looked at the effectiveness of preoperative FMT treatment used alone and in combination with preoperative anthracycline-based chemotherapy for breast tumors ranging in ultrasound-measured size from 0.8 to 7.8 cm. In a randomized study for patients with early-stage invasive breast cancer, the researchers found of no patients receiving preoperative FMT (0/34) had positive tumor margins, whereas 9.8% of patients (4/41) who had breast conservative surgery (BCS) alone had positive margins. In a randomized study for patients with large tumors, based on ultrasound measurements, the researchers found the median tumor volume reduction was 88.4% (n = 14) for patients receiving FMT and neoadjuvant chemotherapy, compared with 58.8% (n = 10) reduction in the neoadjuvant chemotherapy-alone arm. FMT can be safely administered in a preoperative setting. Larger randomized studies are required to verify these conclusions. It has been a while since I’ve had a patient with postoperative alcohol withdrawal. I can still recall my first exposure to this problem as a 3rd year medical student at the Veteran’s Hospital. It was my first clinical rotation – surgery service at the VA.
Browsing the CME articles on the JAMA website, I came across the article (full reference below): Improved Outcomes in Patients With Head and Neck Cancer Using a Standardized Care Protocol for Postoperative Alcohol Withdrawal. For me it was a nice review of the problem with updates on current drug use/protocol. Their protocol is based on three distinct clusters of symptoms characterize alcohol withdrawal syndrome (AWS). Type A symptoms represent central nervous system (CNS) excitation and include anxiety, dysphoria, enhanced reaction to abrupt stimuli, insomnia, mood lability, motor activity, and a sense of foreboding. Central nervous system excitation usually occurs within 12 to 48 hours after the last drink. Type B symptoms relate to adrenergic hyperactivity, which manifest as fever, chills, diaphoresis, hypertension, tachycardia, tremors, piloerection, mydriasis, nausea, and palpitations. Autonomic hyperactivity usually peaks between 24 and 48 hours after cessation of alcohol consumption. Type C symptoms include attention deficit, disorientation, hyper-alertness, short-term memory impairment, impaired reasoning, psychomotor agitation, and hallucinations signifying delirium. These symptom types may occur alone or in combination. Delirium typically occurs later, with a variable time course. The authors present their experience from March 2003 until March 2005 with 26 consecutive patients prospectively treated for AWS using a standardized care protocol from among 652 patients admitted for head and neck surgical procedures (see the two images below—credit) and compared them with a retrospective comparison group of 14 patients who met the inclusion criteria but were treated from March 2000 to December 2002, prior to the use of the AWS protocol. Transfers from the regular inpatient unit to the ICU for AWS-related cause -- 29% vs 4%. Respiratory arrest -- 14% vs 4%. Mechanical restraints used -- 57% vs 42% . Delirium present -- 79% vs 29%. When present, delirium lasted a mean (SD) of 3.2 days in the preprotocol group and 3.3 days in the protocol group. Violence (such as biting, scratching, kicking, verbal outbursts, and other violent manifestations) present -- 36% vs 8%. One or more wound complications present -- 50% vs 46%. No seizures, falls, or deaths occurred in either cohort during the inpatient stay. No patient developed delirium tremens. The article is worth the review even with the small number of subjects. Updated 3/2017: removed all links as several blogs/posts no longer active and it was easier than checking each one. Dr. John La Puma is this week's host of Grand Rounds. It looks at food and exercise in relationship to health. You can read this week’s edition here. Ever heard the story of Phineas Gage? Now you can read the story of how the first known photograph of him was identified in the Smithsonian article Phineas Gage: Neuroscience's Most Famous Patient written by Steve Twomey. ………….In December 2007, Beverly posted a scan of the image on Flickr, the photo-sharing Web site, and titled it “One-Eyed Man with Harpoon.” Soon, a whaling enthusiast e-mailed her a dissent: that is no harpoon, which suggested that the man was no whaler. Months later, another correspondent told her that the man might be Phineas Gage and, if so, this would be the first known image of him………..
Jeffrey Leow, Vagis Surgicalis, is a final year medical student at Monash University in Australia. His article, Medical Trip to Vellore, India, on his recent mission trip is in the recent edition of The Lancet Student. The last time I participated in a mission trip was back in January 2008 in Cambodia. That was part of my church’s 14-day evangelical and medical outreach. This time round, the medical trip had no religious component; it was organized by a student-run organization – Singapore Medical Society of Victoria (SMSV). SMSV aims to bridge the gap between medical students in Victoria and the healthcare industry in Singapore. They had previously organized a trip to Hainan Island, China. Past participants have commented they were able to step above and beyond their usual roles as medical students and do ’so much more’, e.g. perform a lipoma excision. As such, when I heard about an upcoming trip to India, I did not pass up the opportunity…………. Chris, Coppola: A Pediatric Surgeon in Iraq, tells us about Knitting for Troops 20/365 The Ships Project. The site has a great list of patterns, also requirements on yarn type and color. ….one way to support the troops is by knitting comfort items like hats, slippers and neck coolers. I can tell you that when I was in Iraq in JAN I was freezing my patootie off!! M. had knit me a green camouflage blanket and a desert camouflage hoodie and they were put to good use! A great place to start is the Ships Project. 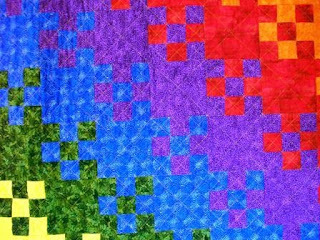 The Alliance for American Quilts announces its 4th annual contest. The theme this year is “New from Old." 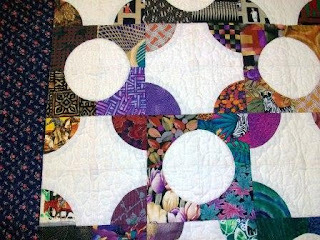 The rules are simple: quilts must be 16" x 16" (including a 4" sleeve and a label) and consist of three layers. 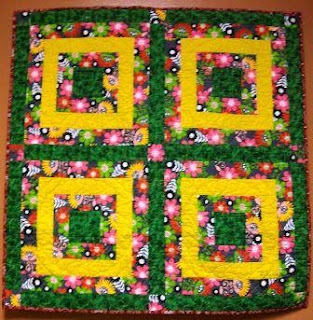 Contest quilts must be sent to the AAQ by May 31, 2010. 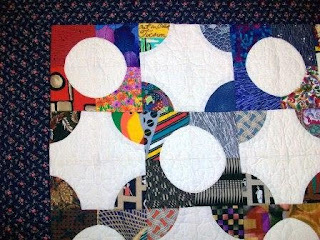 The contest is also a fundraiser; all quilts become a donation to the organization and will be auctioned on eBay Nov. 8 - Dec. 6, 2010 to benefit the AAQ and its mission to document, preserve and share the history of quilts and quilt makers. Visit the AAQ website for full contest information including a downloadable entry form. There is a nice article in the journal Archives of Otolaryngology-- Head Neck Surgery (first reference below) which examines the relationship of preauricular sinuses to auricular cartilage. Preauricular sinuses are a congenital malformation of the preauricular soft tissues. They can be both sporadic and inherited. They are bilateral in approximately 25% to 50% of patients. When bilateral, the sinuses are more likely to be inherited in an autosomal dominant pattern with reduced penetrance and variable expression. Although the true prevalence is not well established, preauricular sinuses are thought to occur most commonly in black populations. The incidence of preauricular sinuses has been estimated to be 0.1% to 0.9% in Europe and the United States. Preauricular sinuses are the most common variant of all the periauricular cysts, fistulas, and sinuses. The cutaneous pit of the preauricular pit is most often located on or near the ascending limb of the helical rim but can also open along the superior posterior margin of the helix as well as the tragus. While both cutaneous opening and fistulous tracts are classically located anterior to the external auditory canal, a reported variant form has its opening behind an imaginary vertical line drawn at the posterior most aspect of the tragus and the posterior aspect of the ascending limb of the helix. This variant typically presents with postauricular swelling and requires both postauricular and preauricular incisions for its removal. Classically, the surgical approach consists of a simple sinectomy with an elliptical island of skin removed around the opening of the sinus and excision of the epithelial sinus tract. Various authors have advocated the use of either methylene blue or gentle probing of the tract to carefully delineate the tract. However, neither approach guarantees full removal of the tracts: reported recurrence rates are quite high, typically near 20%…………..
Because the present study is not a randomized controlled trial, our findings cannot be used to determine whether excision of cartilage or perichondrium prevents recurrence of preauricular sinuses. …… In over 50% of the specimens reviewed, the sinocartilaginous distance was less than 0.5 mm, and in nearly all of these cases, the epithelial tract was in continuity with stromal tissue histologically indistinguishable from the perichondrium. The removal of a small piece of cartilage or perichondrium does not produce a visible cosmetic deformity or add any significant morbidity. Therefore, the routine removal of a small portion of perichondrium and/or auricular cartilage along with the sinus tract may yield a more thorough excision and help to prevent recurrence. SurgeXperiences is a blog carnival about surgical blogs. It is open to all (surgeon, nurse, anesthesia, patient, etc) who have a surgical blog or article to submit. You are encouraged to submit your surgery related posts. The deadline for submissions to be included in the 315 edition is midnight on Friday, January 22nd. Be sure to submit your post via this form. 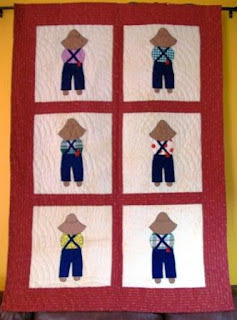 This baby quilt is for Kerri. She’s expecting a little girl. I used the court house step block pattern for this quilt. It is machine pieced and quilted. The quilt is 38 in X 38 in. I love the flowered fabric! Here you can see the fabric better and get a glimpse of the quilting done. I used a large feathered “flower” and cross-hatching. The back is a soft pale yellow flannel. 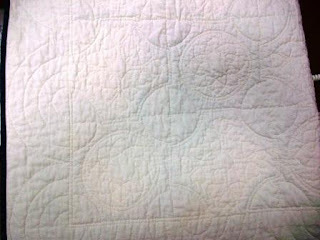 Here you can see the quilting better. The clock reads 15 minutes past the hour. An hour saved for a new patient visit. No one comes through the door to claim the visit. I sip my coffee, check my email, and reach for a journal. My hand settles on a yellow highlighter, aching to hold a scalpel or needle. ***I love what WordDoc, Medical Moments in 55 Words, is able to do with 55 words or less. I was taught back in high school that words like “a” and “the” don’t count (you know when you had to write a 500 word essay), but apparently they do. The first involves Heidi Montag, 23, who in November had multiple surgical procedures and is being compared to Joan Rivers. According to People, Montag even kept her family in the dark about her intended transformation to become her “best me.” Telling only her husband Spencer Pratt, Montag had a nose job revision, chin reduction, mini brow lift, Botox in her forehead and frown area, fat injections in her cheeks, nasolabial folds and lips, neck liposuction, ear pinning, liposuction on her waist, hips, inner and outer thighs, buttock augmentation and breast augmentation revision. The other involves Annette Edwards, 57, who has had multiple procedures so she could look like Jessica Rabbit. Surgeon--Be a complete physician, not just a skilled technician. Patient--Be a partner in your care. Give a full and honest medical/surgical history. Don't leave out any medications. What you do when recovering often will have major impact on the final result. Surgeon--Avoid hyping your "unique" talent. Patient-- Be honest about your reasons and expectations. Surgeon--Strive to maintain good communication and rapport with your patient. Listen. Patient-- Do your part in maintaining that good communication and rapport. Listen. If you don't understand, say so. Have your surgeon try to explain in another way. Surgeon-- Be honest about your skills. We are all better at some procedures than others. Looks like it’s time for me to rethink my preference for preoperative skin cleanser. This past week there were two new prospective studies published in the Jan. 7 issue of the New England Journal of Medicine, along with an accompanying editorial. The Centers for Disease Control and Prevention estimates that in American hospitals alone, there are 1.7 million healthcare-associated infections each year. Of these infections, 22% are surgical site infections (SSIs). So if simply changing the preop skin cleanser will reduce my patient’s SSI risk, then I will do so. Rabih Darouiche, MD and colleagues found using chlorhexidine as the preoperative skin cleanser reduced infections by 41% compared with povidone-iodine. Their study involve randomly assigning 897 adults undergoing clean-contaminated surgery to preoperative skin preparation with chlorhexidine gluconate (CHG) and alcohol or with povidone-iodine (P-I). Patients were assessed for occurrence of SSIs within 30 days postoperatively. CHG-alcohol use was associated with a lower overall rate of SSIs (9.5% vs. 16.1% for P-I), lower rates of superficial (4.2% vs. 8.6%) and deep (1.0% vs. 3.0%) incisional SSIs. There was no significant difference between the two groups where organ-space infections (4.4% and 4.6%, respectively) or sepsis from SSIs (2.7% and 4.3%) was involved. Lonneke G.M. Bode, M.D and colleagues found that screening and decolonizing patients who are nasal carriers of S. aureus, combined with washing with chlorhexidine soap reduced the risk of SSIs by 58%. "The weight of evidence suggests that chlorhexidine–alcohol should replace povidone–iodine as the standard for preoperative surgical scrubs," Dr. Wenzel writes. "The use of intranasal mupirocin and chlorhexidine baths for carriers of S. aureus who have been identified preoperatively by means of a real-time [PCR] assay could be reserved primarily for patients who are undergoing cardiac surgery, all patients receiving an implant, and all immunosuppressed surgical candidates. Currently, the incremental value of preoperative baths with chlorhexidine alone for all surgical patients is unclear, but this relatively straightforward procedure could be examined critically in future studies." Minimizing Surgical-Site Infections; N Engl J Med. 2010;362:9-17, 75-77; Richard P. Wenzel, M.D. Chlorhexidine–alcohol versus povidone–iodine for surgical-site antisepsis; N Engl J Med 2010 Jan 7; 362:18; Darouiche RO et al. Preventing surgical-site infections in nasal carriers of Staphylococcus aureus; N Engl J Med 2010 Jan 7; 362:9; Bode LGM et al. DrRich, Covert Rationing Blog, is this week's host of Grand Rounds. You can read this week’s edition here. The Holidays may be over, but there’s no rest for Santa or his cute little Congressional elves. ………..
And so, to Santa, to the elves, and to anyone else enlightened enough to seek it out, DrRich is honored to present: Grand Rounds. Kim, Emergiblog, is the host of the latest edition of Change of Shift (Vol 4, No 14) ! It is the first edition of the new year. You can find the schedule and the COS archives at Emergiblog. Happy New Year and welcome to the first Change of Shift of the new decade! Are you still writing “09″? I’m not! For some reason I have converted to “01″. Lord knows how many of my charts have the wrong dates on them! It’s a new decade and the new year finds the nursing blogosphere is still going strong. Let’s get started! Dr. Steven Lomazow has opened his blog, FDR's Deadly Secret, which includes post of many of the papers, videos, etc used in writing the book, 'FDR's Deadly Secret' with fellow author Eric Fettmann. I am included in this issue of General Surgery News on Women in Surgery. It is humbling to be featured along with Dr. Kathrin Troppmann, Dr. Lori Brown, Dr. Sharona Ross, Dr. Julie Ann Freischlag, Dr. Celeste Hollands, Dr. Nicole Fox, Dr. Lyssa Neida Ochoa, Dr. Lori Lerner, and Dr. Dinee Collings Simpson, Dr. Danielle Walsh, Dr. Jennifer Rosen, Dr. Susan Kaiser, and Dr. Eva Wall. Updated 3/2017: all links removed as several blogs/posts no longer active and it's easier than going through each one. Use your computer to print out a free wallet card with all your up-to-date medical information here. Dr Anonymous does not appear to have a show scheduled this week. You may want to listen to the shows in his Archives. Towards the end of this past year I learned about MDLinx and signed up for the newsletter on Plastic Surgery related articles. I was very impressed this past week to get the “Top Read Articles of 2009.” I noticed many articles of interest which I had not read. Most were in journals I don’t have full access to: Canadian Journal of Plastic Surgery, Australian and New Zealand Journal of Surgery, European Journal of Plastic Surgery, etc. MDLinx is a medical news and information source, free with registration. It reviews 1200 medical journals daily. The articles are indexed by 35 specialties and 845 subspecialties. I am finding it to be a nice source of information. Updated 3/2017: links removed as many of the blogs/posts are no longer active and it was easier than going through all the links. It is my pleasure to host the first edition of SurgeXperiences of the new year (2010) and new decade. I hope you’ll grab something to drink and enjoy the reading. Where they stretch you on a table. Mike Cadogan, sandnsurf, presents with a wonderful primer on elbow dislocation over at Life in the Fast Lane. Also at Life in the Fast Lane, check out by Paul Young’s post: Renal Riddle-001. …….It is important to remember that the commonest cause of the ‘classic’ presentation of renal colic amongst patients presenting to have a post-mortem is ruptured abdominal aortic aneurysm……. MedZag, Training Grounds, writes about Flying Solo in the operating room for the first time. ……….Well this moment was my proverbial 240 yard approach shot plopped down 6 inches from the pin. The first time I get to take the lead during an operation. I step into position above the patient's head and gaze down at the base of the mouth. Just as I get bovie in hand, the attending laughs and says: "Don't worry... the first tonsillectomy I ever scrubbed on, the patient lost 1800ml of blood. The bar's set pretty low." Great. My resting tremor kicks up a couple notches…..
I’m a sucker for a good dog/man friend story, so I greatly enjoyed the one told by Bongi, other things amanzi -- friend's best friend. Not all the commenters agree with me. being south african these days sometimes means we see things in a slightly skewed way. it seems to be the way we have become. i have touched on this before, but there is another story which illustrates the point. the recent run of hijackings were fresh in all our minds because the perpetrators had shot and killed, execution style, a mother and her three year old child just the previous week. Academic Life in Emergency Medicine shows us a Trick of the Trade: Finger nailbed laceration repair. This technique requires that the fingernail has a simple linear laceration through it. The fingernail has to be relatively still adherent to the nailbed. The case below is a patient who sustained a fingertip laceration with an industrial skill saw. SA Anaesthetist writes about Comfort Zones - or "A day in the life of an anaesthetist who hasn't gone away for the holidays"
………….So what, you say, you are a cardiac anaesthesiologist, how hard could it be? And therein lies the rub. The biggest problem facing me now is not the pre-terminal patient. We get enough of those in our fine ivory tower on the hill. No, my problem is that I am going to be way out of my usual haunts. New hospital, new surgeon (although widely respected), and unfamiliar team = something approaching palpitations……………. A surgeon is assigned the anesthesiologist he/she deserves. My daughter has a burn with hot soup on the hand with a lot of ugly looking blisters. Am worried as it’s quite painful. How will it heal and will it leave a scar? Buckeye Surgeon discusses Lymph Node Retrieval in Colon Cancer Surgery and ALS Entrapment. A patient comes in with the entirely understandable complaint of “I have a fishbone lodged in my throat”. Came straight from dinner to the ED. When I ask a stupid question I’m given a stupid answer: “It feels like…a fishbone…”. Duh on me. Movin' Meat also tells us the tale, There's no bone in there, but it can still break, with MRI images included. ……….Now that I am recovering from a total joint replacement, I am amazed to see the differences in how physicians, doing the same surgery, treat the patient. Total knee replacement (TKA) is one of the most common orthopedic procedures done today. Despite this, the patient cannot expect the same post op care. I am in contact with a patient in rural Minnesota who had the same surgery 8 days prior to me. Here are some differences in treatment for the same surgery (TKA):…………. ………A third surgery was attempted, using a different approach. It seemed to work, and in a mirror I saw myself looking familiar again. But after a little more than a week, that surgery failed, too. Blood vessels intended to attach the transplanted tissue lost function, probably because they had been weakened by radiation. A fourth surgery has been proposed, but I flatly reject the idea. To paraphrase a line from "Adaptation's" orchid collector: "Done with surgery." During that whole period I was Nil by Mouth………..
Well… I am extremely thankful ………..
However… I do have one small complaint that serves as a reminder of the fact that 10 months ago I was in an operating room with my mind blank and my chest opened up. My scar is crooked! I have been following this story regarding baby Christopher who needs a heart transplant. I first learned of him through a story via Arkansas Blog Christmas day. Christopher was born Nov. 30 in Oregon, but later flown by Angel One to Arkansas Children’s Hospital. He was born with hypoplastic right heart syndrome and an AV canal defect. As of this posting, he is still waiting for his transplant. Here's a link where you can sign up to check in on family updates on the baby's situation. SurgeXperiences is a blog carnival about surgical blogs. It is open to all (surgeon, nurse, anesthesia, patient, etc) who have a surgical blog or article to submit. If you would like to be the host for SurgeXperiences315 or a future edition, please contact Jeffrey who runs the show here. This quilt is a variation of the drunkard’s path called “trip around the world.” I began hand piecing the individual 3.25 in blocks in the mid-1990s thinking I might make a full or queen size bed quilt. I was doing to feature the different variations of the drunkard’s path. My project got pushed aside as I made nieces and nephews quilts. 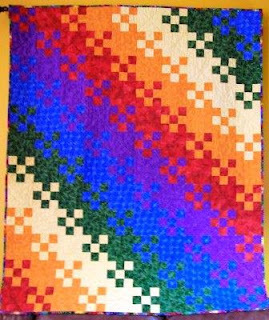 In 2006, I put together the 100 blocks into a wall hanging. 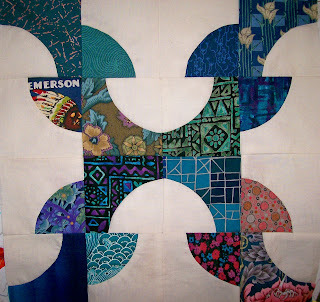 The blocks are hand pieced, but then machine sewn together. I hand quilted this one. The quilt is 41.5 inches square (or maybe not, as it doesn’t hang quite even). 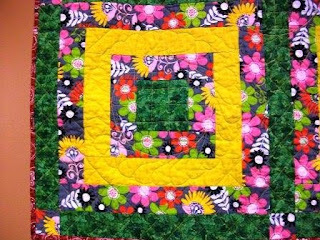 The quilt is a charm quilt, as each block contains a different fabric. Here are some close photos to show some of the fabrics. This one shows the back so the quilting can be seen. The decision to start regular, biennial screening mammography before the age of 50 years should be an individual one and take patient context into account, including the patient's values regarding specific benefits and harms. For a complete discussion which I can not improve upon, check out Dr. Margaret Polaneczky’s (aka TBTAM) post: The New Mammogram Guidelines - What You Need to Know. Now comes, recommendations from the American College of Radiology (ACR) and the Society of Breast Imaging (SBI). Their guidelines for screening mammography are published in the January issue of the Journal of the American College of Radiology. Their recommendations do not agree with the US Preventive Services Task Force. Screening mammography should begin at age 40 for women with average-risk of breast cancer. Women at higher-risk should begin by age 30, but no sooner than 25. Women who have at least a 20% lifetime risk of breast cancer, on the basis of family history, also should begin annual breast MRI by age 30, in addition to annual mammography. Women and their doctors can use assessment tools to calculate individual risk for breast cancer. The most commonly used risk assessment tool is the Gail Model which can give your individual risk of being diagnosed with breast cancer in the next 5 years. Breast cancer causes about 4,500 deaths annually in women ages 40-49, and is one of the leading causes of death in women in this age group. Medscape has a nice CME article on neurotoxins (activity expired, link removed 3/2017), Dysport® and Botox® Cosmetic. Dysport is abobotulinumtoxinA. Botox Cosmetic is onabotulinumtoxinA. Dr Monheit begins with the interesting history of botulinum toxin. 1979 Botulinum neurotoxin type A was approved by the FDA [US Food and Drug Administration] and became a registered mechanism for use in ophthalmology. It was called Oculinum at first. 1987: Dr. Jean Carruthers notices effect on the glabella when treating patients with BoNT-A for blepharospasm. 1992: Dr. Jean Carruthers and Dr. Alastair Carruthers publish seminal paper on the use of BoNT-A for the aesthetic treatment of glabellar rhytides. 2002: Botox Cosmetic approved by FDA for the treatment of glabellar rhytides. 2009: Dysport approved by FDA for the treatment of glabellar rhytides. Dr. Monheit then procedes to describe the science beginning with the molecule itself and the subtypes. He points out that the active neurotoxin protein at 150 kD is the same for both Botox and Dysport. It is the surround complex that is different. We have in the botulinum toxin molecule a heavy chain (100 kD) and a light chain (50 kD). It's actually the light chain that is responsible for the nicking and the final cleavage that occurs. Upon absorption into the body, the complex disassociates, and we're left with the bare neurotoxin molecule. As we understand the science and the technical variables, such as the neurotoxin protein at 150 kD, the hemagglutinin and nonhemagglutinin proteins, the difference in the complex sizes -- 300 kD and 900 kD (depending on whether we're talking about the Botox® molecule or the Dysport® molecule)..
Dr. Monheit proceeds to go through the clinical trials and tips/cautions for proper use of the neurotoxins. You can either listen to his lecture or read the transcript. I found it to be an enjoyable lecture. The central difference between Dysport® and Botox® Cosmetic is the dosage units. The units of measurement for the 2 botulinum neurotoxin A products are proprietary measures that are different for each product. The injection points for the 2 products do not differ significantly, and the toxin molecules have the same molecular weight. Differences in onset of action have not been demonstrated in clinical trials. One of the important things for you to feel comfortable with is the dilution [you] can [or] should use. As you know, as you add more saline, or dilute it more, you do get more spread. You also have more volume that you're putting in. The dilution used for all of the clinical studies was 1.5 mL. Many people are comfortable with 2.5 mL. In Europe, they're using either 2.5 or 1.5 mL, giving the number of units you see in both Botox® and Dysport® [units]. But rather than try to translate these units back and forth, you should learn to live in the units you're working with and learn the language of the units you're treating. Update 03/2017: All links removed as several of the blogs/posts no longer exist and it was easier than going through them all. Grand rounds founder Nick Genes, Blogborygmi, is this week's host of Grand Rounds. You can read this week’s edition here. Welcome to Grand Rounds,…This is the 327th edition of Grand Rounds, and navigating web is pretty different compared to when I first hosted. I've been stubbornly resisting social media to help spread the word about each week's location for Grand Rounds, figuring quality writing will find a way to reach interested readers. But when you consider that the Grand Rounds community of patients, providers and pundits is its own kind of social network, it only makes sense to adopt these new tools. …Now name three nurse authors, who are either writing today or are part of the literary canon. Though nurses' styles of self-expression differed widely, they wrote about their patients with a singular degree of material specificity, and they resisted surgeons' tendency to blur patients' individual characteristics. In their letters and diaries, they referred to patients by name, frequently mentioning hometowns, culinary tastes, or other distinguishing details. Often they quoted their conversations with soldiers, which surgeons who kept diaries rarely did. . . Surgeons' diaries do not show nearly the same individualization of suffering. They were more likely to refer to their patients in the abstract or to refer to the clinical details of a particular treatment without mentioning the soldier's name at all………. In the same vein of helping teens with self-image, Dr Nancy Brown discusses Teen Girls And The “How I Look Journal” over at Better Health. Given I had the week off I decided to review the copies I was sent and am delighted to say that my teenage daughters and I thought the journals are a great idea. The journal prompts help girls identify and celebrate their inner strengths and attributes, manage stress, accept their bodies and dream!………. Dr Charles on how our skin care products can affect the environment: Exfoliating Soap is Full of Plastic. Seriously. I’ve been buying, using, and recommending Dove Exfoliating Soap as an affordable and low maintenance facial cleanser. Doctor-recommended. In general my skin has liked the stuff. But a friend recently made me aware of the fact that most of these mass-produced exfoliating soaps contain “microbeads” of plastic. These tiny globules of polyethylene act as a gentle abrasive that exfoliates dead skin, but the synthetic grit then washes down our drains and into our watersheds and oceans where it accumulates, gets eaten by sea creatures, and damages our ecosystems. Plastic beads, made from petroleum products, in my soap. Really?……. H/T to @staticnrg who tweeted an announcement regarding her new blog, 365 days with Cushing’s Disease. It will be interesting following and learning from her. The Dr Anonymous’ show for this Thursday night has been canceled, but there will be one Saturday night at 9 pm ET. The authors of the recent Aesthetic Surgery Journal article (full reference below) have proposed a new classification of Poland Syndrome based on both clinical and radiographic presentation (CRPS). Using their CRPS classification, they present an algorithm for planning surgical treatment. Classically, it consists of a combination of unilateral aplasia of the sternocostal portion of the pectoralis major muscle (PMM) and hypoplasia of the ipsilateral hand, with syndactyly and synbrachydactyly. The reported incidence of Poland Syndrome (PS) is one in 30,000 live births. Male-to-female ratio is 3:1. The right side is affected twice as often as the left. The etiology of PS is still unknown, but recently a vascular hypothesis suggests hypoplasia of the ipsilateral subclavian artery. First Degree (Mild): The diagnosis of first-degree PS would be made in a patient with mammary asymmetry caused by hypomastia or amastia and areolar asymmetry, with or without a partial absence of the pectoralis major muscle (PMM). No other musculoskeletal alterations are observed; other congenital alterations may or may not be present. Second Degree (Severe): Hypomastia or amastia, areolar asymmetry, total absence of the PMM, and alterations of the ipsilateral muscle group and/or bones of the chest results in a diagnosis of second-degree PS; ipsilateral superior limb alteration and other congenital alterations may or may not be present. Third Degree (Very Severe): Third-degree PS would be diagnoses in patients with amastia; areolar asymmetry; major ipsilateral musculoskeletal chest alterations, such as total absence of the PMM, the pectoralis minor muscle, and /or the serratus anterior muscle; possible lung herniation; widened opening of the mediastinum; and ipsilateral superior limb alteration. Other congenital alterations may or may not be present. First Degree (mild) – Breast implantation or customized breast implantation and contralateral mammary reduction or augmentation when needed (symmetrization procedure). Second Degree (severe) – Tissue expander placement when needed; regional local flap surgery; breast implantation or customized breast implantation; symmetrization procedure. Third Degree (very severe) – Tissue expander placement; latissimus dorsi flap or other flap surgery, such as a free flap or transverse rectus abdominis myocutaneous (TRAM) flap; breast implantation or customized breast implantation as needed; other surgeries such as the Ravitch procedure and a contralateral symmetrization procedure. Earlier today I wrote a short article which resulted in correspondence with one of the authors of the new book, 'FDR's Deadly Secret' by Steven Lomazow and Eric Fettmann. Dr. Steven Lomazow sent me a copy of his Archives of Dermatology article with Dr. Bernard Ackerman, this photo, and a pdf of his book which I have spent the afternoon reading. The criteria currently touted for diagnosis of a slightly raised lesion of melanoma, a malignant neoplasm composed of abnormal melanocytes, are the "ABCDEs": Asymmetry, Border irregularity, Color variability, Diameter greater than 6 mm, and Elevation (or, for some proponents of the mnemonic, Enlarging or Evolving). 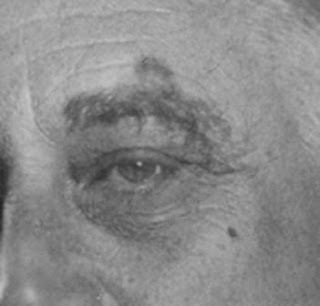 The fully developed pigmented lesion above Roosevelt's left eyebrow admirably fulfills those criteria. But the ABCDEs also are encountered from time to time in a disparate variety of other pigmented lesions of the skin, among them being solar lentigo/seborrheic keratosis, melanocytic nevi of different kinds, and pigmented basal cell carcinoma. Steven Lomazow and Eric Fettmann have done a great job with their book. I have enjoyed it immensely. Anyone who likes medical history will enjoy this book. 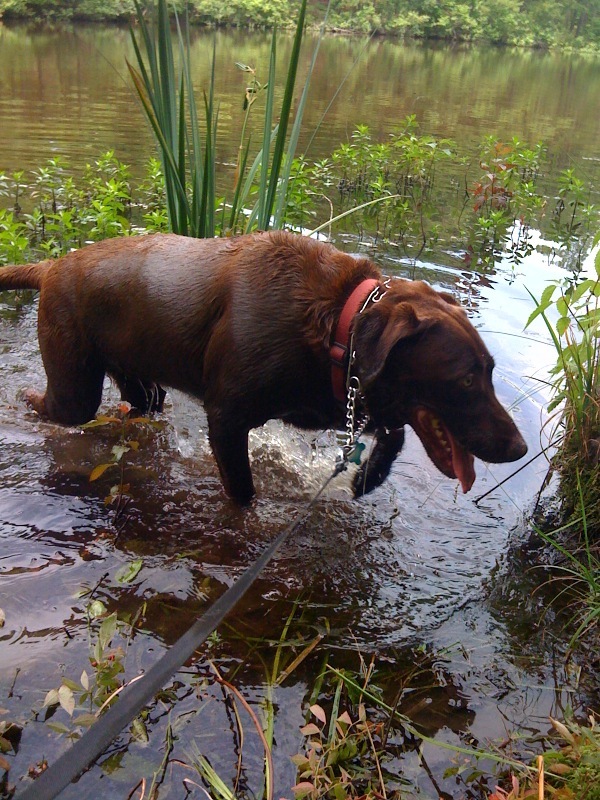 Chapter 6 is entitled “The Brown Blob” and discusses the skin lesion seen in the photo above. Back in FDR’s time, there were only two types of treatment for melanoma: surgery and radiation. You may also like to check out Dr Lomazow’s blog: Magazine History: A Collector’s Blog. Melanoma is the most serious form of skin cancer. If caught early, it is curable. If not, it becomes hard to treat and can be fatal. Melanoma accounts for less than 5% of all skin cancers, but accounts for the approximately 74% of all deaths from skin cancers. Melanoma metastasizes to the brain more than any other cancer. Of all the patients who die from melanoma, 90% will have brain metastases. Melanoma also metastasizes to the intestinal system more than any other tumor. Three cases in five metastasize to the small intestine. The American Cancer Society estimates that in 2009, there will be 8,650 fatalities in the U.S. The number of new cases of invasive melanoma is estimated at 68720. Overall, the lifetime risk of getting melanoma is about 1 in 50 for whites, 1 in 1,000 for blacks, 1 in 200 for Hispanics. For many years, the early warning signs of melanoma have been identified by the acronym "ABCDE" (A stands for Asymmetry, B stands for Border, C for Color, D for Diameter and E for Evolving or changing was recently added.). A new concept of the “ugly duckling” has been added to pick up the melanomas that don’t fit the ABCDE rule. This new method of sight detection for skin lesions is based on the concept that these melanomas look different -- ie, "the ugly duckling" -- compared to surrounding moles. For early detection of melanoma, look for lesions that manifest the ABCDE's AND for lesions that look different compared to surrounding moles.